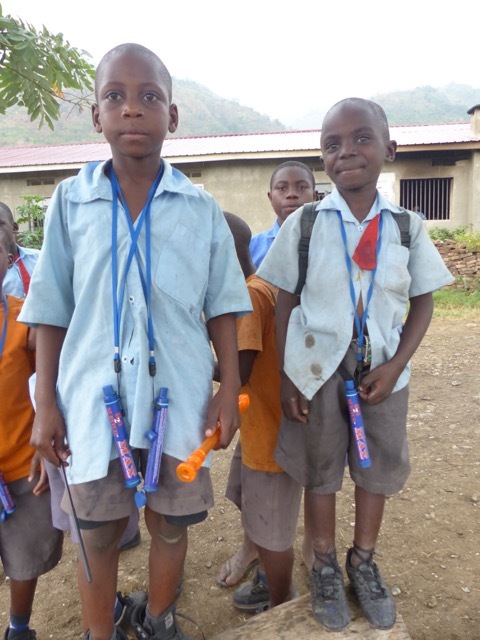 Vatu Maji water filter straws reduce ingestion of waterborne pathogens found in surrounding water sources and prevent thousands of innocent child deaths per day. The water filter straw PS01 activated carbon filter and hollow fiber UF membrane can remove 99.9999% of the malignant bacteria, VOC, Residual, Chlorine, organic matters, soften the water and reduce heavy metals. This portable and lightweight water filter straw is ideal for emergency and outdoor use, allowing villagers, travelers and campers to have instant access to safe and clean drinking water through the use of antibacterial carbon filtration. The user can safely drink from nearly any lake, river, spring, or well. Whether used for emergency relief or outdoor recreation, this portable water filter promises simplicity with safety. The straw is a small, portable filtration device for use by one person, for an entire year. The straws save children's lives (6,500 deaths each day, and 5,000 are children) on a daily basis by filtering out waterborne diseases like cholera, typhoid, dysentery and more. Children in remote villages can now filter their drinking water from surrounding contaminated water. "Vatu Maji Water-Filter Straws are the best!!" enables children in remote villages to access clean water using smart filtration solutions. The hollow fiber ultrafiltration membrane in the straw can efficiently filter out 99.9999% of water borne pathogens such as E.coli, Cholera, Anthrax and 99.99% of Protozoa such as Sporozoite and meeting WHO & EPA standard. The high-class antibacterial activated carbon with silver Ions on the straw highly efficiently removes residue chlorine, improves taste and odor and avoids the damage of carcinogens such as trihalomethane and eliminates the growth and reproduction of micro-organisms. Adopting Multi-layer Hierarchical Filtering Technology, ensures that raw water is utmost purified and the water filtered fresh and healthy. poisoning and softens the water efficiently.